Do you know beautiful spring cherry blossoms loved by Japanese for a long time? 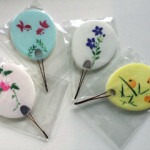 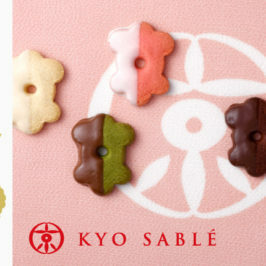 I am pleased to introduce to you some beautiful wagashi that expresses spring cherry blossoms. A cherry blossom is called “sakura” in Japanese. 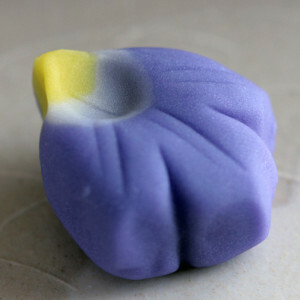 This wagashi is named after a shape of sakura. 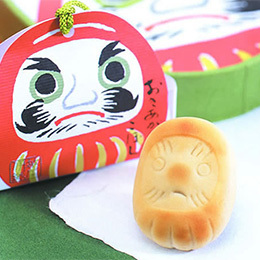 The dough is made from a rice powder (grated yam powder or finer rice powder) is kneaded with the help of the stickiness of grated yam. 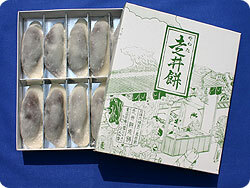 The Suetomi shop is skilled at making yam dough. 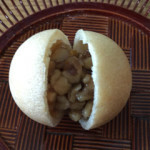 It has a rich flavor with a bit of Koshi-An(strained sweet bean paste) filling wrapped in the dough, which makes yam taste even more flavorful. 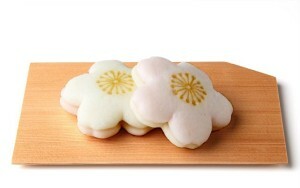 The wagashi expresses scenery of a shower of of falling cherry blossoms. 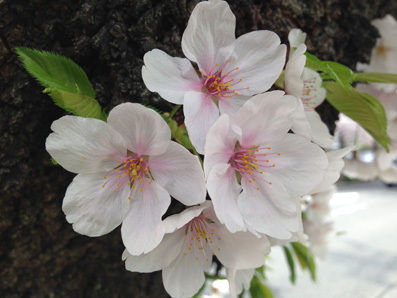 The pink and white colors represent a beautiful scenery of a shower of of falling cherry blossoms. 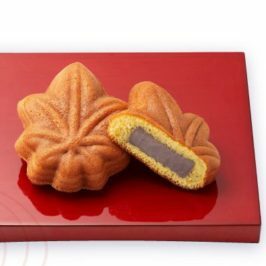 It is an unbaked wagashi with sweet white bean paste kneaded with leaf of cherry leaf, and filling wrapped in moist mochi (rice cake). 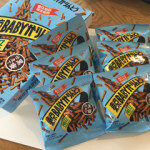 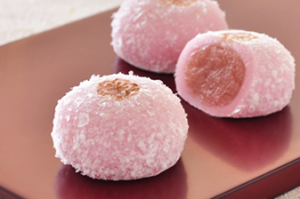 Its flavor is mild and the texture is amazingly-moist. 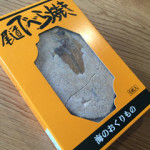 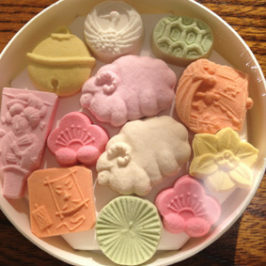 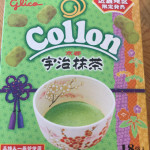 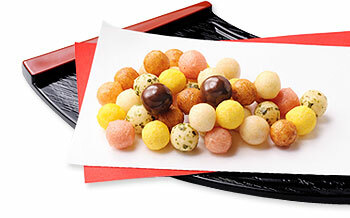 It is one of the most popular spring Japanese sweets among Japanese. 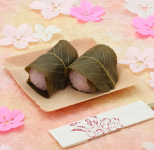 The wagashi pink-colored mochi (rice cake) is wrapped in an anko (sweet red bean paste) at its center, and covered with a leaf of sakura. 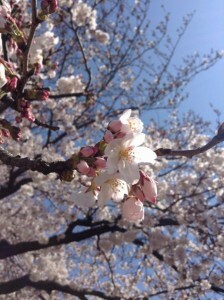 You can enjoy nice fragrance of sakura’s leaf.